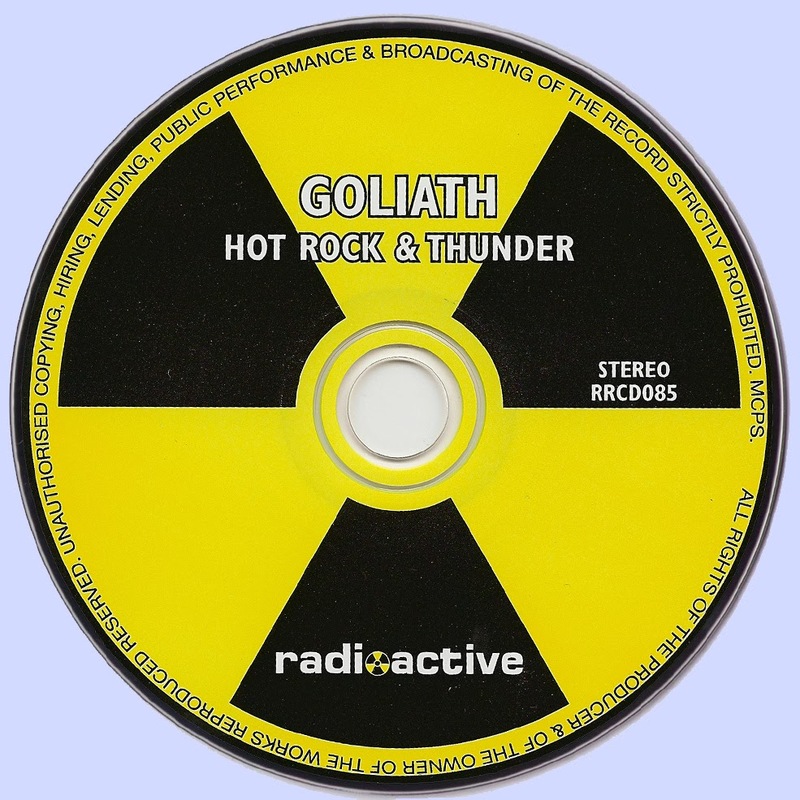 The long-lost band named Goliath may have been reared in the dreary industrial city of Terre Haute, IN. Their music was as extravagant and cosmopolitan as it came during the heavy rock heyday of the 1970s. True, "We're Not Afraid," which opened the band's only album, 1975's Hot Rock and Thunder, never quite gelled amid its disparate working parts (half Deep Purple Mark III funk-rock, half Emerson, Lake and Palmer excess), but the wonderfully named "Dead Drunk Screamin'" brilliantly contrasted its roaring power chords with soaring choired vocals reminiscent of vintage Uriah Heep. 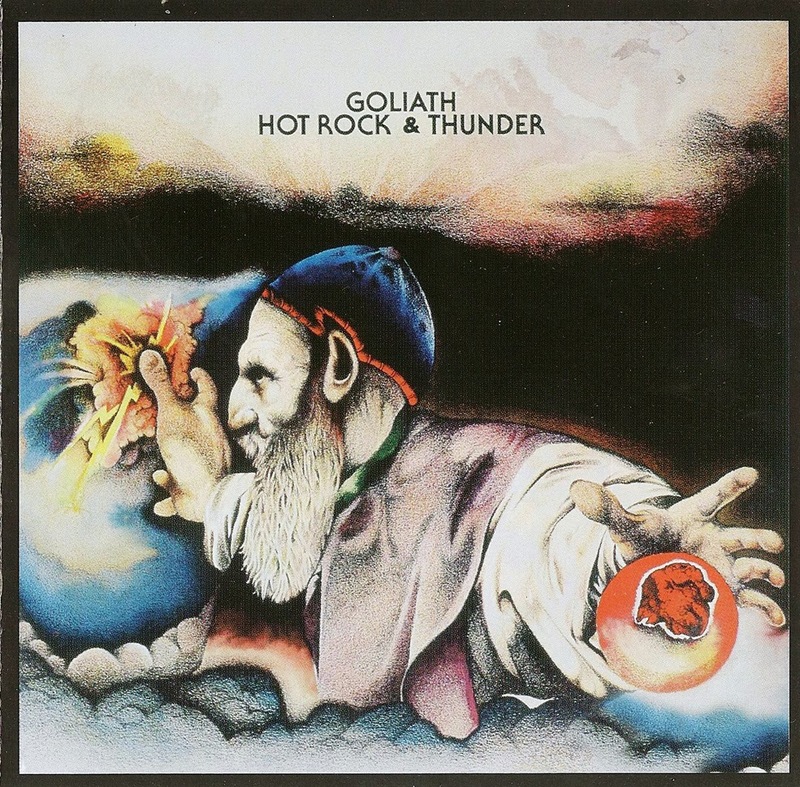 Goliath's occasional detours into barroom boogie (à la Ronnie James Dio's Elf) for the likes of "Tell Me You're Satisfied" and the title track proved somewhat less memorable, but the group's tight and energetic performances, combined with singer Jim Kitchen's booming delivery never totally disappointed, either. And side two was where the quintet really spread its progressive rock wings, as guitarist Paul Bays' unfettered six-string bombast and keyboardist Dave Wood's Baroque piano work and futuristic synthesizer parts jousted for supremacy across multi-faceted creations like "The Apocalypse," "Silver Girl" (boasting a tasty classical piano mid-section), and the more toned down semi-ballad "Ordinary Guy" (where the CD reissue's direct-from-vinyl transfer becomes glaringly obvious). All in all, and though anything but perfect, the sheer creative breadth displayed by Goliath on this LP, in spite of recording on a shoestring budget under God knows what dire circumstances, was really quite remarkable; and the fact that its songs often appear torn between the decade's first and second halves (the first simultaneously artsy and raw; the second marked by increased technology pointing toward AOR) actually heightens its idiosyncratic appeal, to the endless curiosity of subsequent generations of collectors, year after year, reissue after reissue.